This anti-bribery policy exists to set out the responsibilities of Richard Martin Lighting and those who work for us in regards to observing and upholding our zero-tolerance position on bribery and corruption. It also exists to act as a source of information and guidance for those working for Richard Martin Lighting. It will also help them to recognise and deal with bribery and corruption issues, as well as understand their responsibilities. 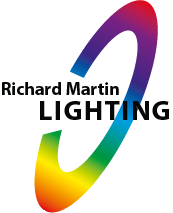 Richard Martin Lighting is committed to conducting business in an ethical and honest manner, and is committed to implementing and enforcing systems that ensure bribery is prevented. Richard Martin Lighting has zero-tolerance for bribery and corrupt activities. We are committed to acting professionally, fairly, and with integrity in all business dealings and relationships, wherever in the country we operate. Richard Martin Lighting will constantly uphold all laws relating to anti-bribery and corruption in all the jurisdictions in which we operate. We are bound by the laws of the UK, including the Bribery Act 2010, in regards to our conduct both at home and abroad. Richard Martin Lighting recognises that bribery and corruption are punishable by up to ten years of imprisonment and a fine. If our company is discovered to have taken part in corrupt activities, we may be subjected to an unlimited fine, be excluded from tendering for public contracts, and face serious damage to our reputation. It is with this in mind that we commit to preventing bribery and corruption in our business, and take our legal responsibilities seriously. This anti-bribery policy applies to all employees (whether temporary, fixed-term, or permanent), consultants, contractors, trainees, seconded staff, home workers, casual workers, agency staff, volunteers, interns, agents, sponsors, or any other person or persons associated with us (including third parties), or any of our subsidiaries or their employees, no matter where they are located (within or outside of the UK). The policy also applies to Officers, Trustees, Board, and/or Committee members at any level. In the context of this policy, third-party refers to any individual or organisation our company meets and works with. It refers to actual and potential clients, customers, suppliers, distributors, business contacts, agents, advisers, and government and public bodies – this includes their advisors, representatives and officials, politicians, and public parties. A bribe refers to any inducement, reward, or object/item of value offered to another individual in order to gain commercial, contractual, regulatory, or personal advantage. Bribery is illegal. Employees must not engage in any form of bribery, whether it be directly, passively (as described above), or through a third party (such as an agent or distributor). They must not bribe a foreign public official anywhere in the world. They must not accept bribes in any degree and if they are uncertain about whether something is a bribe or a gift or act of hospitality, they must seek further advice from the company’s Operations Manager. The Anti-Bribery & Anti-Corruption Policy is fully supported by Senior Management.